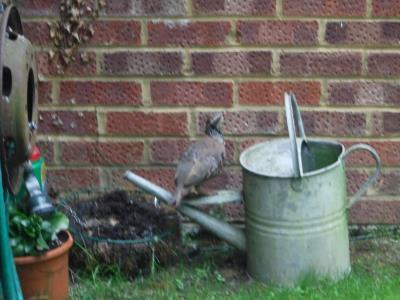 Bird Id - Forum - Identifying Birds - Can Anyone Identify The Bird In This Photograph? Forum > Identifying Birds > Can Anyone Identify The Bird In This Photograph? Sorry for the terrible quality. but if somebody is able to identify this, much appreciated. once again apologies for the quality of the picture. Well that's a first in these parts.